Store all your daily essentials at hand with the Fresca Allie Vanity. 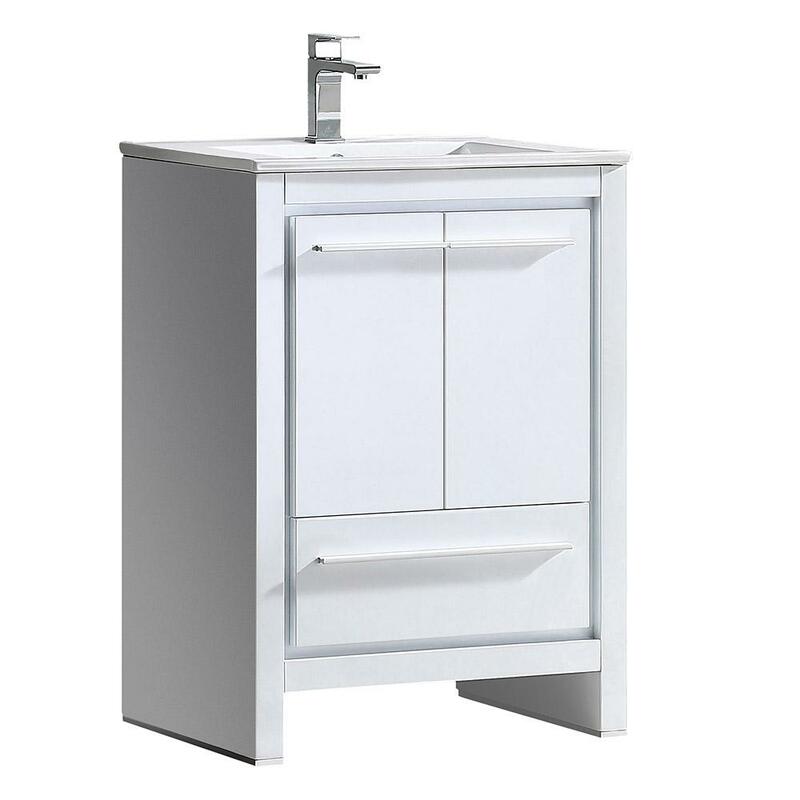 This vanity has a freestanding design, so you can install it against any bathroom wall. It has a modern design, helping to create a simple and chic appearance. It features a rectangular integrated sink, which is built from the same material as the countertop for a seamless and sleek look. Constructed from plywood, it is able to endure daily contact with water. 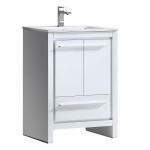 With a white vitreous china build, the sink offers resistance to corrosion and staining. Vanity Top Thickness: 2.54 in.